Having used Netbeans ide, I wonder whar exactly is a module and why I should use it in a project. I have searched the entire site for documentation but I did not find any answer about the use of this very basic component of the IntelliJ IDEA platform. Actually this is explained in one of the very first pages of the "Concepts"
should use it in a project. So it is an xml file that describes some things about the project? a module is stored in an xml file is an implementation detail. Can you give an example on what it can be used? Did you check the link to IJ web help mentioned above? 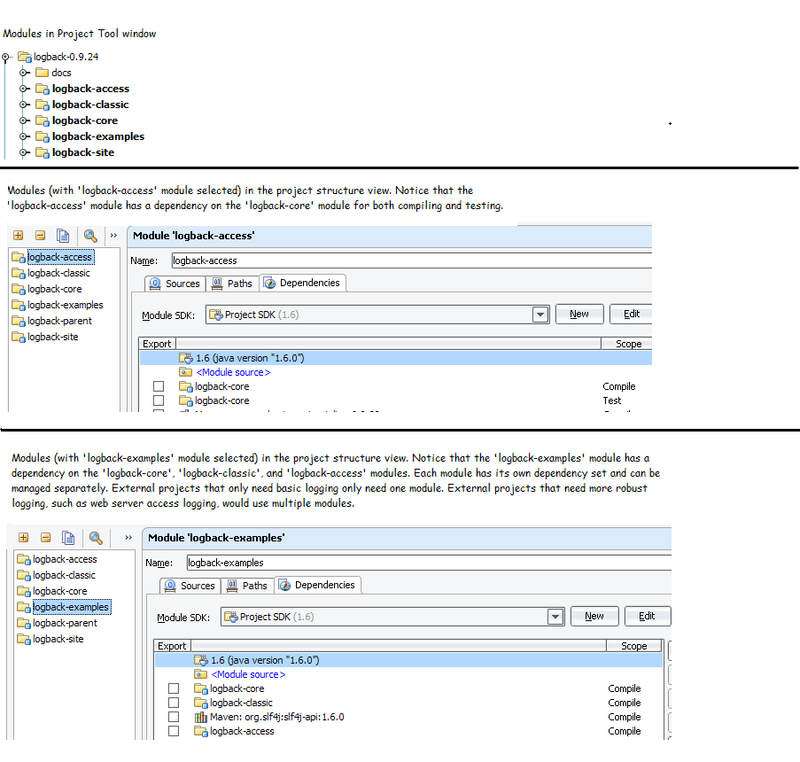 Attached is an image with some screenshots of modules in use with the Logback project open in IDEA.